Another Dentman banger. 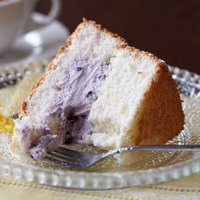 Light, sweet cake with just enough blueberry to give it a little something on the side. I really enjoyed this one. Just mixed this up, S&V'd it. Delicious. Super light and fluffy, slight bit of lemon and you weren't kidding when you said you had to look for the blueberry. It's there but its so perfectly melded in you really have to search to notice it. 5* A+ Will mix again.